Cannot be Normal Summoned or Set. Cannot be Special Summoned from your hand or Deck. When 10 or more of your “Darkness Divine” monsters are banished; Special Summon this card from your Graveyard. There can only be 1 “Darkness Divine - Queen Sheba” on the field. When this card is Special Summoned; return all of your banished “Darkness Divine” monsters to your Deck. Then, inflict 300 damage to your opponent for each card returned by this effect. During the End Phase, destroy this card, unless you destroy a different “Darkness Divine” monster you control. Cannot be Normal Summoned or Set. Cannot be Special Summoned from your hand or Deck. When a “Darkness Divine” monster you control is destroyed by a card effect; Special Summon this card from your Graveyard. Once per turn, you can send a “Darkness Divine” from your Deck to the Graveyard; destroy a Spell/Trap card your opponent controls. When this card would be destroyed; banish this card instead. Cannot be Normal Summoned or Set. Cannot be Special Summoned from your hand or Deck. When you control no monsters, and have 2 or more “Divine Shadow Seal” cards on your side of the field; Special Summon this card from your Graveyard. Once per turn, you can destroy a “Darkness Divine” monster you control and send a “Darkness Divine” monster from your Deck to the Graveyard; destroy all Defense Position monsters your opponent controls. When this card would be destroyed; banish this card instead. Cannot be Normal Summoned or Set. Cannot be Special Summoned from your hand or Deck. When you have 3 or more “Darkness Divine” monsters in your Graveyard, except this card; you may Special Summon this card from the Graveyard. Once per turn, you can send a “Darkness Divine” monster from your deck to the Graveyard; destroy a monster your opponent controls. This effect of “Darkness Divine - Gohmo Drago” can only be activate once per turn. Cannot be Normal Summoned or Set. Cannot be Special Summoned from your hand or Deck. When you have 3 or more Level 5 “Darkness Divine” monsters in your Graveyard; you can Special Summon this card from your Graveyard. Once per turn, while this is the only card you control, you can banish a “Darkness Divine” monster in your Graveyard; this card can attack your opponent directly this turn. The effect of “Darkness Divine - Malmorpho” can only be used once per turn. Cannot be Normal Summoned or Set. Cannot be Special Summoned from your hand or Deck. When you control no cards, and 2 or more of your “Darkness Divine” monsters are banished; You can Special Summon this card from the Graveyard. When this card is Summoned, you can banish a “Darkness Divine” monster in your Deck, then select one; destroy all monsters your opponent controls OR destroy all Spell and Traps your opponent controls. This card cannot be Normal Summoned or Set. This card cannot be Special Summoned from the Graveyard. You can send this card from your hand to the Graveyard; add a “Divine Shadow Seal” card from your Deck to your hand. This card cannot be Normal Summoned or Set. This card cannot be Special Summoned from the Graveyard. You can send this card from your hand to the Graveyard; send a “Darkness Divine” monster from your Deck to the Graveyard. Each “Darkness Divine” monster you control gain 400 ATK. Once per turn, you can banish a “Darkness Divine” monster in your Graveyard; send a “Darkness Divine” monster from your Deck to the Graveyard. Send a “Darkness Divine” monster from your Deck to the Graveyard. Add a level 5 “Darkness Divine” monster from your Deck to your hand. During your Draw Phase, instead of conducting your normal draw, you can activate this card’s effect. Select a level 5 “Darkness Divine” monster in your Graveyard; return that target to your hand. This card’s effect cannot be activated if you already activated the effect of a “Divine Shadow Seal - Circle of the Dark Star” this turn. During your Draw Phase, instead of conducting your normal draw, you can activate this card’s effect. Select a “Divine Shadow Seal” card in your Graveyard; add that target to your hand. This card’s effect cannot be activated if you already activated the effect of a “Divine Shadow Seal - Gathering Shadows” this turn. When you control no monsters, and your opponent controls 2 or more monsters; return all cards in the Graveyard(s) to the Deck. Once per turn, you can banish a “Darkness Divine” monster in your hand; return a “Darkness Divine” monster in your Graveyard to your Deck. When your opponent activates a Spell Card; send a “Darkness Divine” monster from your Deck to the Graveyard: negate the activation and destroy it. When your opponent activates a Trap Card; send a “Darkness Divine” monster from your hand to the Graveyard: negate the activation and destroy it. Once per turn, you can banish a “Darkness Divine” monster in your Graveyard: look at your opponent’s hand; select a card from it, and discard it. I like it. Alot. 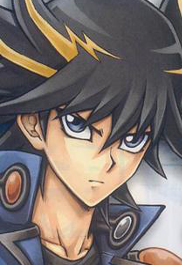 Will you make cards on yugiohcardmaker?